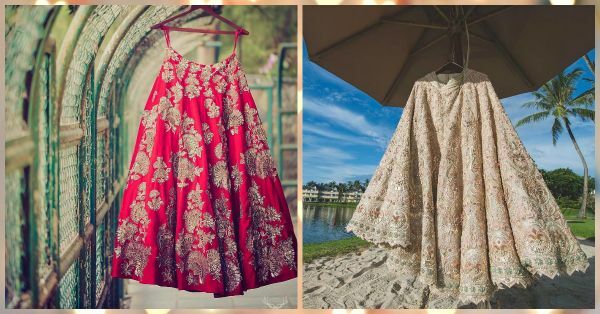 10 Beautiful & Unique Ways To Get Your Bridal Lehenga Clicked! 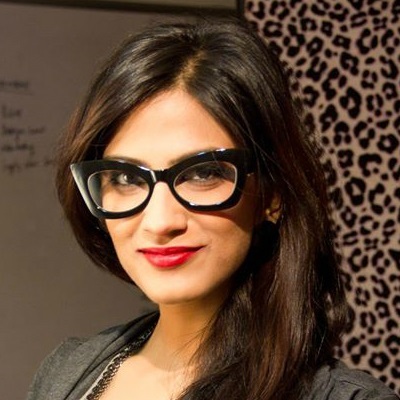 You spent months and money finding your dream wedding lehenga. And now is the time when you finally get to wear it. But before you dress up as a bride, it is absolutely necessary that you get your bridal lehenga clicked in beautiful, unique ways. After all, you’ve exhausted yourself with the design, colour, embroidery and every detail must be captured in all its glory. 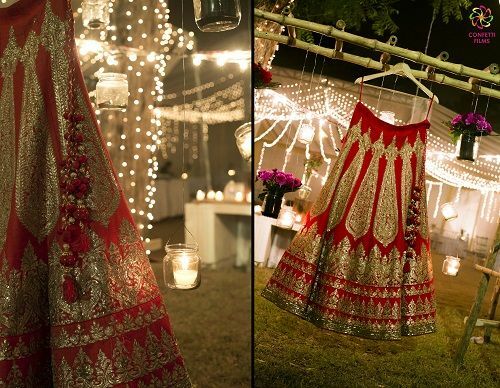 Here are 10 bridal lehenga shots to inspire you! Image: The Cheesecake Project If you want to be a part of the picture as well, a pose like this is just perfect. Just look at the bride admiring her gorgeous bridal lehenga. The look in her eyes, her hand reaching out to touch the lehenga...it’s all so dramatic! 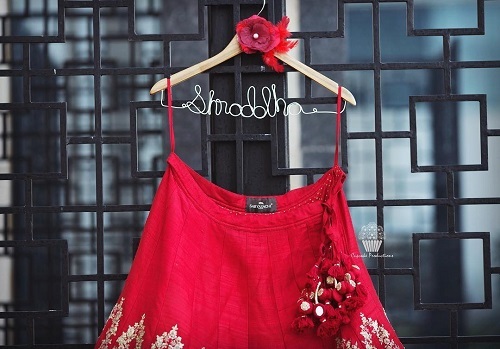 Image: Cupcake Productions on Instagram Every bride needs to get a personalized hanger like bride Shraddha did. 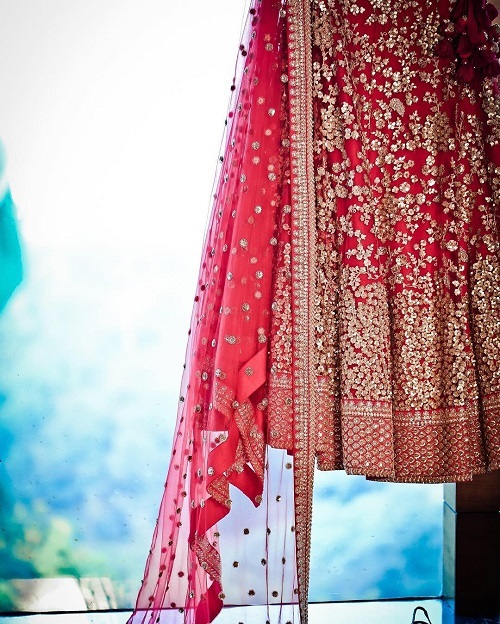 It’s super cute and it’s all you need to get an amazing lehenga picture. We are totally loving this one! 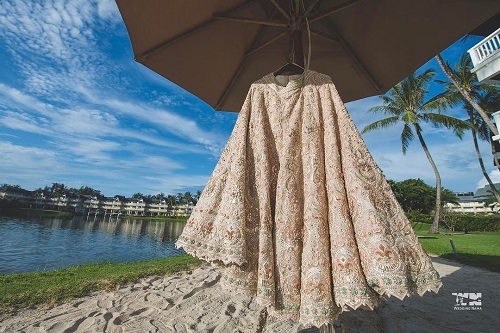 Image: WeddingNama on Instagram If you’re having a beach wedding or if there is a pool at your venue, then make full use of the surrounding and have your lehenga clicked against the backdrop of water. No matter what the lehenga colour, it will look beautiful against the blue water and the skies. 4. A couple picture like THIS! Image: Cupcake Productions on Instagram Why just your lehenga alone. 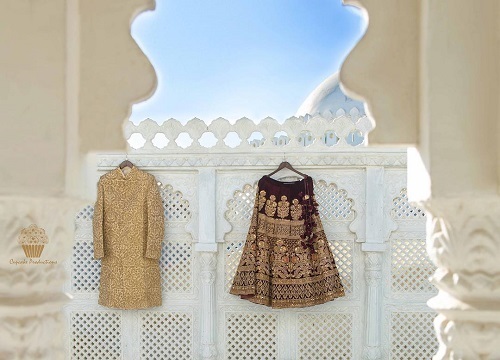 Get his sherwani and your outfit and click them together. A picture like this looks extremely beautiful, especially if the outfits are colour coordinated. 5. A happy picture for the happy bride! Image: Mahima Bhatia Photography on Instagram Pick it up, show it off and let your excitement show through the picture. 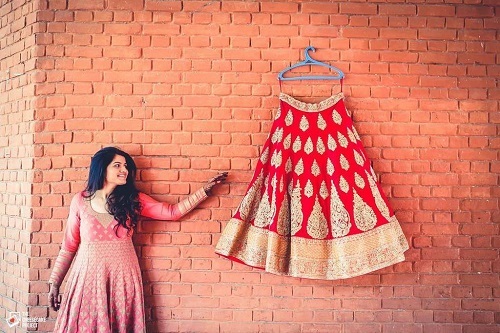 This bride is proof of how you can get yourself the coolest wedding lehenga picture ever! 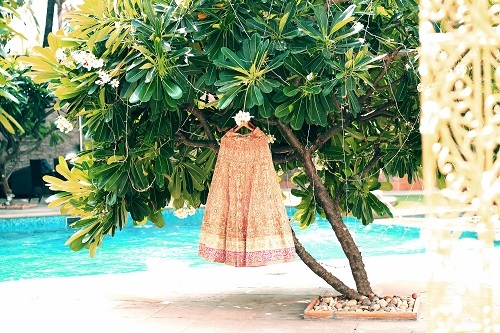 Image: Morvi Images on Instagram We love how Morvi has captured this gorgeous lehenga. A close-up of the work with the dupatta falling oh-so-delicately. We really can’t stop staring at this one! Image: Morvi Images on Instagram Simple, sweet and elegant. 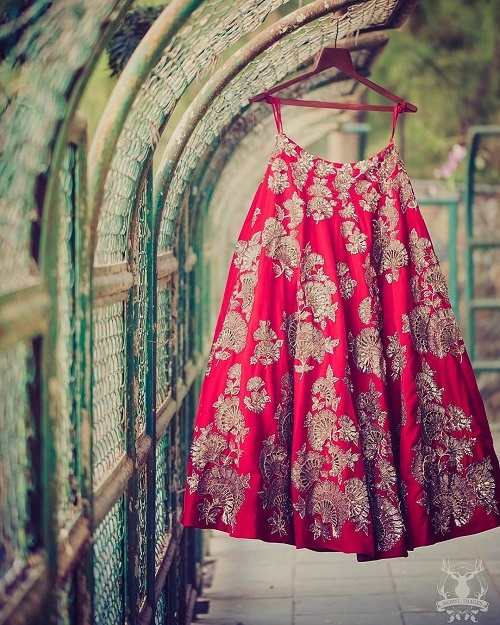 Hang your lehenga in the walkway of your venue and have it photographed from different angles. This picture looks just perfect. 8. Hang it from a tree! Image: Confetti Films Yeah, this is such a simple yet stunning way to have your bridal lehenga captured. Doesn’t it look pretty?! Image: Confetti Films A quick hop to the lawns before the guests arrive! Fairy lights, candles, drapes and flowers provide just the most magical backdrop for your wedding lehenga picture. 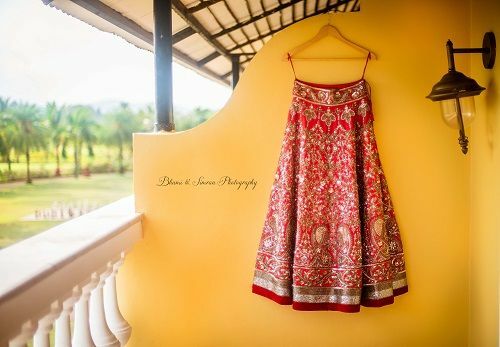 Image: Bhumi & Simran Photography A wall, your lehenga and a picture as beautiful as this one. Sounds perfect, right?! If you want an elegant and simple picture minus the extra frills...this is what we suggest. A classic shot that’ll look amazing always!